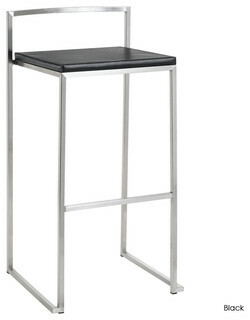 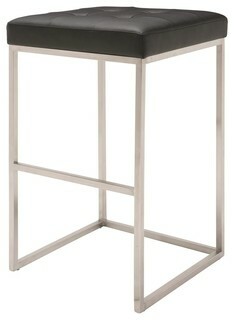 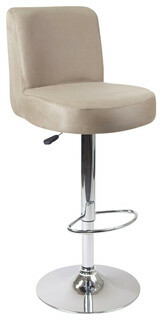 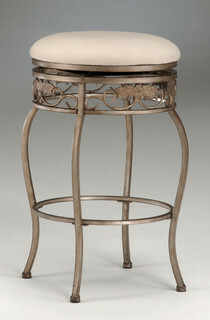 Sold As 1 UnitThe Luna polished chrome counter stool is a modern piece with a retro twist. 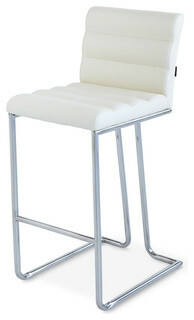 Padded with high density foam and covered in soft faux leather for superior comfort the quilted stitching adds a touch of opulence. 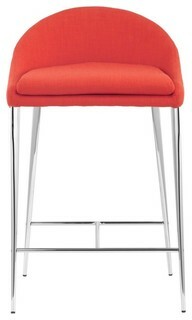 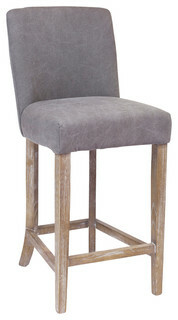 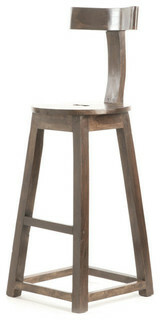 This extremely comfortable counter stool cradles the body. 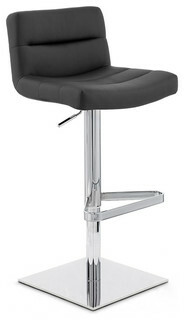 Weight capacity of 275 lbs.PRODUCT DETAILS:- 15W x 16.5D x 37H- Seating Height: 27- Counter stool features a polished chrome base to fit any counter- Contemporary padded styling with an ergonomic linear back and channeled seat design.